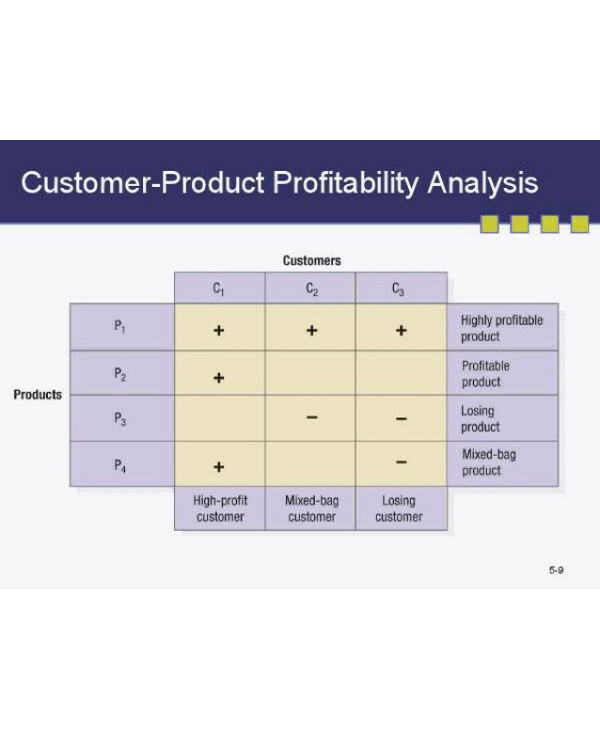 Customer profitability analysis is simply a tool from managerial accounting that focuses on individual customer profitability instead of looking at product line profitability. It aims to look at various cost drivers to be able to accurately isolate costs and determine a product’s profitability. 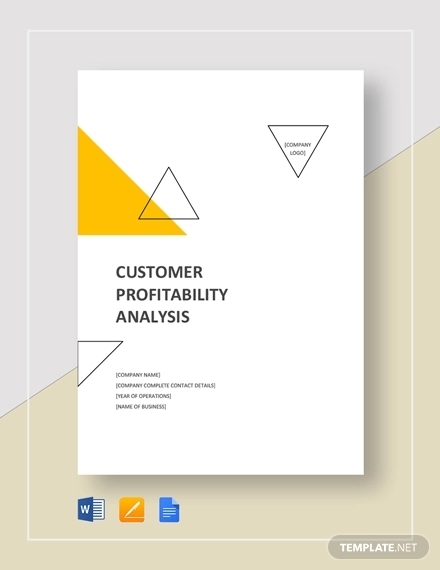 Customer profitability analysis is an attempt at looking at various activities and expenses incurred in servicing a particular customer within a given period of time. You may also see sales analysis examples. Most companies, if forced, will admit that some of their customers can be considered unprofitable. Whether or not you will cave into answering the same question doesn’t matter since a CPA (Customer Profitability Analysis) will answer that for you. 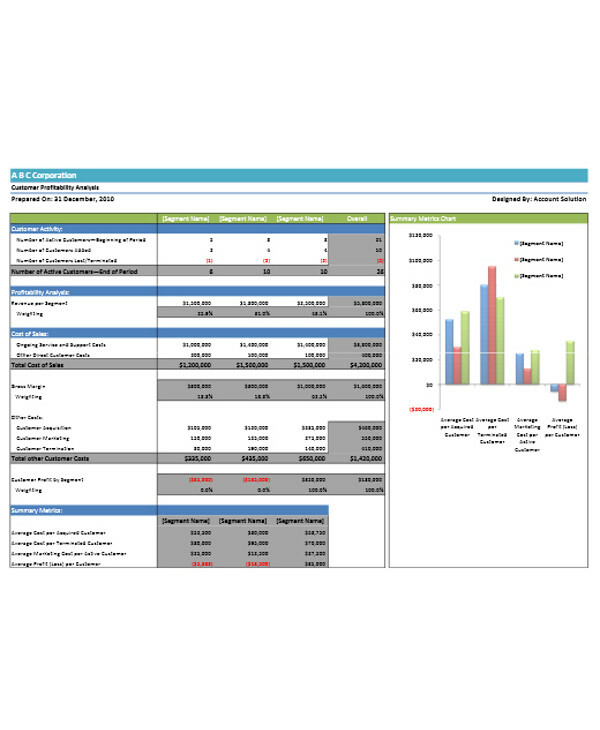 You may also see business financial analysis Templates . A lack of skills. One of the challenges associated with CPA is that it calls for hybrid skills—forensic accountancy grafted on to marketing. Few CEOs or financial director ask for this kind of information and marketers are notoriously innumerate. 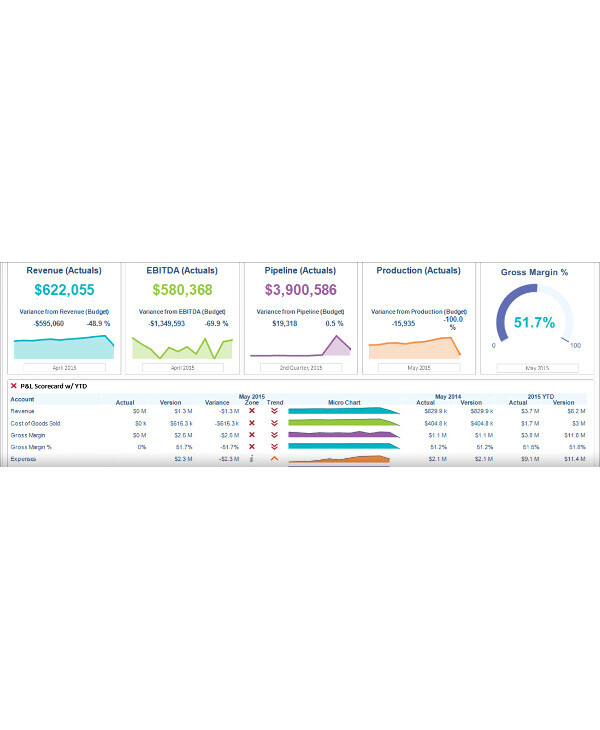 You may also see new product financial analysis examples. Accurate customer information can be difficult to get hold of, so any results are open to question. Identifying contributory cost calls for cross-company collaboration to build a complete picture of the customer. There is often resistance to such an exercise. Uncertainty about how to capture and portray the figures. You may also see financial health analysis examples. In business to consumer markets, in particular, the scale of the exercise is often too daunting. A lack of a recognized method and doubt about the results. That CPA provides a historic picture and fails to take in to account the future potential profitability of a customer. Over-allocation or under-allocation of costs based on proxies, in the absence of accurate data. You may also see data analysis examples. Even if a reasonable picture is developed, there is concern about what to do with the results. You may also check out here earned value analysis examples & samples. Management accounting systems often focus on products, departments, or geographic regions, but not on customers. Or at least not commonly. As a result, companies often find themselves unable to produce reliable per-customer profitability figures, which leads to keeping unprofitable customers, decreasing the company’s potential to make profits. You may also check out here functional behavioral analysis examples. The gigantic “Why” of customer profitability analysis can be reduced to the simple statement that each dollar of revenue does not contribute equally to profit. There can be differences in customer profitability that can arise from either difference in revenues or differences in cost. In other words, customer profitability depends not only on the revenue resulting from solid units of a product or service but also on the back-end services provided. You may also see bowtie risk analysis examples. Most companies have both: customers who have a positive impact on company profitability and those who take too many potential profits by generating less revenue than costs. Even the most experienced managers have a difficult time identifying these two from a crowd. You may also check out here business case analysis examples. The size of a customer is never a valid basis of whether that customer is actually profitable or not. In fact, shreds of evidence may suggest that the largest ones are also the most unprofitable. What Is the Objective of a CPA? The main purpose of conducting a CPA is to provide an organization’s management with the understanding of each customer profitability. With this knowledge, they can take different, targeted actions and strategies against different profitability segments, having as a target for increasing the company’s total profitability. You may also see hazard analysis examples. Companies who are aware which customers are profitable and which aren’t are armed with valuable information that they would need to make successful managerial decisions to improve overall organizational profitability. So, as you can see, it all starts with that tiny revelation. You may also see failure analysis examples. 4. Take action to maintain and increase customer profitability, including turning unprofitable customers into profitable ones, which can be done by decreasing the cost to serve, to look for ways to increase revenue, up to ending business relations with unprofitable customers just to cut the costs. You may also see business systems analysis examples. So What Can You Get from a CPA? The most basic purpose of a CPA is to help companies identify which of their customers would be ideal to attract, keep, and grow. Unless they do this, they may be spending their efforts, resources, and time to attract customers who will never even be profitable. You may also see vendor analysis examples. Although companies don’t really have a choice regarding their customers since ultimately, it’s the customers who will be making the choice, the exercise will still have a major impact on the firm, especially when it comes to revealing major operational weaknesses that would otherwise be hidden from view. You may also see training needs analysis examples. 1. The sales force is under continual pressure to close deals and offer discounts to secure business within the sales period. You may also see cost analysis examples. 2. Pricing errors due to incorrect estimates of time. 3. A one-size-fits-all approach to serving customers leading to over servicing where the business levels do not justify it. You may also see product gap analysis examples. 4. Loss leaders are offered to customers who always shop around for a deal, in the expectation that profit will be recovered over the lifetime of the customer. 5. The connection between customers and costs is not made and over time some become a greater drain on resources. You may also see situation analysis examples. How Should You Proceed with the CPA? The very first step necessary before you can get started with the CPA is to realize that you have an issue with customer profitability, and this can be difficult since most managements don’t want to admit that there is a possibility that their customers aren’t helping them move from one profit bracket to another. Creating a simple model of revenue by the customer on the one hand, and total business unit costs and overheads on the other. You may also see job analysis examples. Subtract the direct product and service costs from each customer (costs of goods sold/costs of sales) to arrive at a gross margin per customer. It should be possible to identify other costs specific to the customer such as a particular sales campaign or servicing and retention costs. Orders of magnitude will do rather than getting hung up on 100% accuracy. Be consistent if applying any proxy. You may also see cash flow analysis examples. Sort customers by net profit and draw a cumulative profitability curve starting with the most profitable to the least. 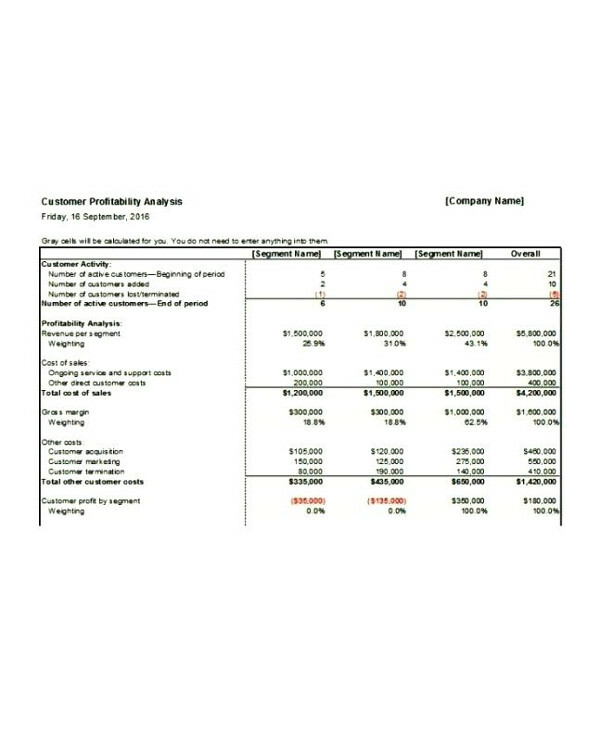 This is an effective way to visualize the relative profitability of customers and it soon becomes apparent which customers are critical to the business. Before taking any decision on nonprofitable customers, make sure that you have strong retention activities in place to secure your most valuable customers. You may also see retail SWOT analysis. Get behind the real reasons why some customers are unprofitable and determine the appropriate strategies and tactics to enhance the profitability of your customer portfolio. As we’ve seen, there are lots of reasons for being unprofitable, and it is important to think ahead to potential value over time, not just to recent history. You may also see regression analysis examples. Now that’s the question now, isn’t it? Now that you are sure that there is at least a small portion of your consumers who aren’t really helping you money-wise, what do you do with that knowledge? Moreover, what do you do with these customers? Your first thought might be to get rid of them since they are obviously not contributing, and thus are just pests feeding on your resources. However, sacking these so-called noncontributors or profit takers is not the wisest move. First of all, why would you get rid of people who are simply trying to avail of your services? If there is one thing that conducting a CPA will teach you, it is that the unprofitability of consumers is the company’s fault. Which means that, if you think about it, it’s your fault. 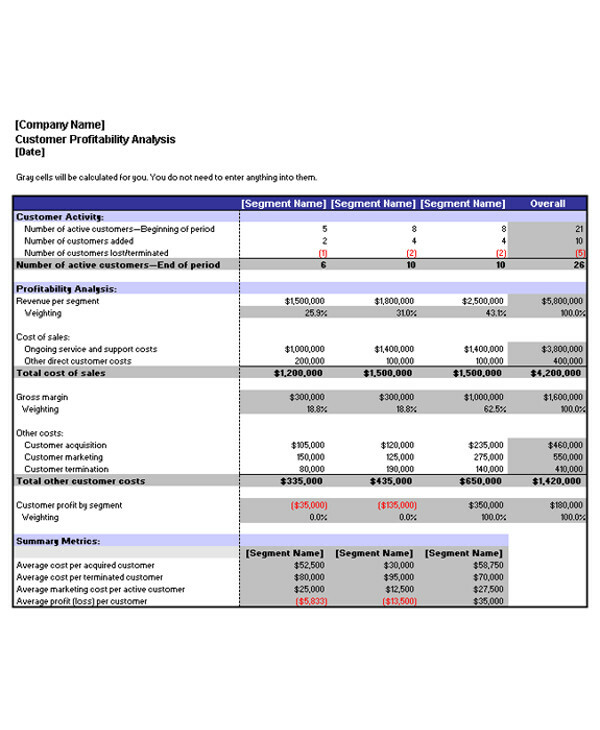 You may also see company analysis examples. 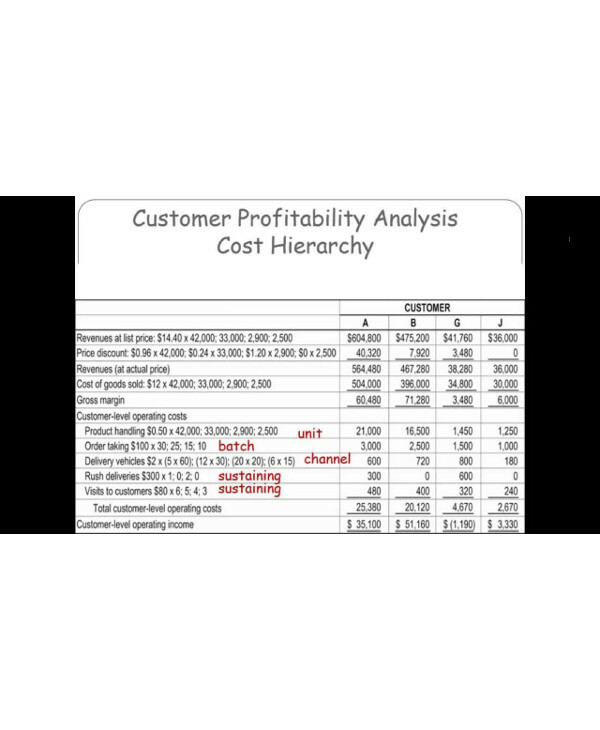 Customer profitability analysis is a method that will help you see and understand the profitability of your customers. It will take effort and management sponsorship to make the process feasible and worth it. It’s a process, not a solution. It will help you in many ways, particularly when it comes to allocating your resources exactly where the right customers are, but it is not an end in itself. Understanding the results of your CPA will uncover new options for profitable growth for you. It can help you focus on the right customers to attract and to hold on to. But to do this, CPA must be combined with an understanding of potential lifetime value. You may also see organizational analysis examples. To many firms, this might mean conducting business as usual. But any company who hopes to earn something from a CPA will benefit from the discipline it will demand, and although this is just another tough road, it will certainly be worth it. You may also see competitor analysis examples. 1. You will be able to successfully eliminate the customers who are only costing you money, or else turn them into more profitable ones. The tricky thing about these costs is that they are often indirect, which means that you can’t exactly have a negative sign in your monthly finances to understand that you are already spending too much on a customer who isn’t giving you back enough. You may also see boundary value analysis examples. Firing customers with low gross margins are straightforward and pretty easy to identify. But what about the customer who pays a good gross margin but, unfortunately, requires a lot of effort for operations? 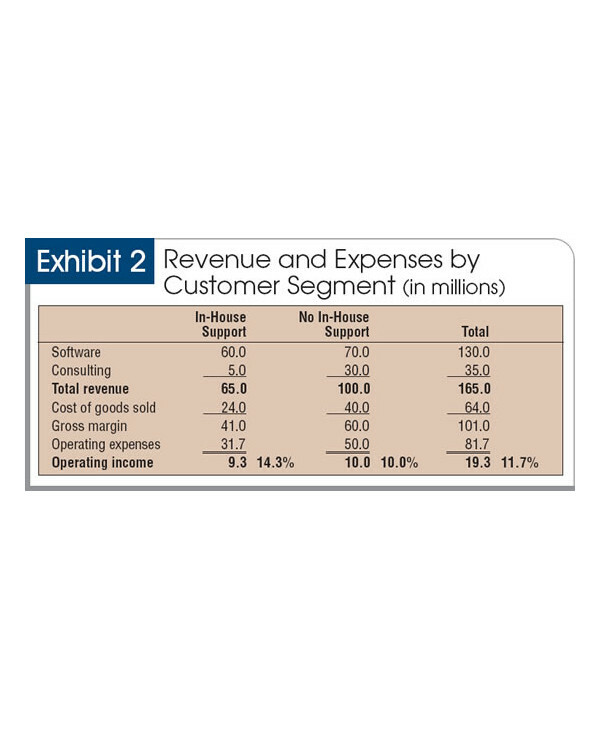 First, you have to consider gross margin, then there are the costs of servicing that customer to address. Overall, it’s not a profitable investment. Since you’ve identified and gotten rid of the weed, you can project your energies toward keeping your garden healthy. If you successfully take out customers that are too high maintenance, then your organization is officially freed from that obligation, and can now focus on the more profitable customers. You may also see pest analysis examples. While a successful strategy would be to cross-sell additional products or services to those clients who actually value the relationship and put something into it, another helpful strategy would be targeting new customers with the same characteristics as the good clients you have today. Consider them an exchange for the ones you’ve inevitably lost. 3. Increased productivity across the organization. Another great benefit that will come to you from weeding out high-maintenance yet low-profit customers is that the results will reach across the organization. Which means that you will not be the only one enjoying that burden-free feeling. 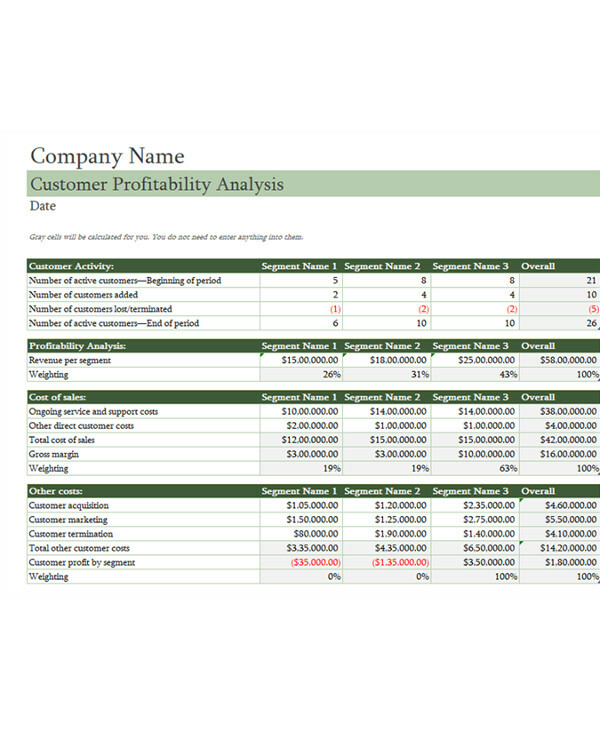 You may also see customer analysis examples. Your sales department can benefit by focusing their prospects on the right clients who value and are willing to pay for the company’s products and services. They can already recognize the right crowds, and will no longer waste time and effort convincing customers who aren’t even good for the business. Your operations and finance will realize improved productivity in servicing only those customers who are reasonable in their demands for service. They will no longer take getting beaten up on margins, special payment terms, or Friday afternoon rush jobs because they already know who the right investments are. You may also see risk assessment examples. 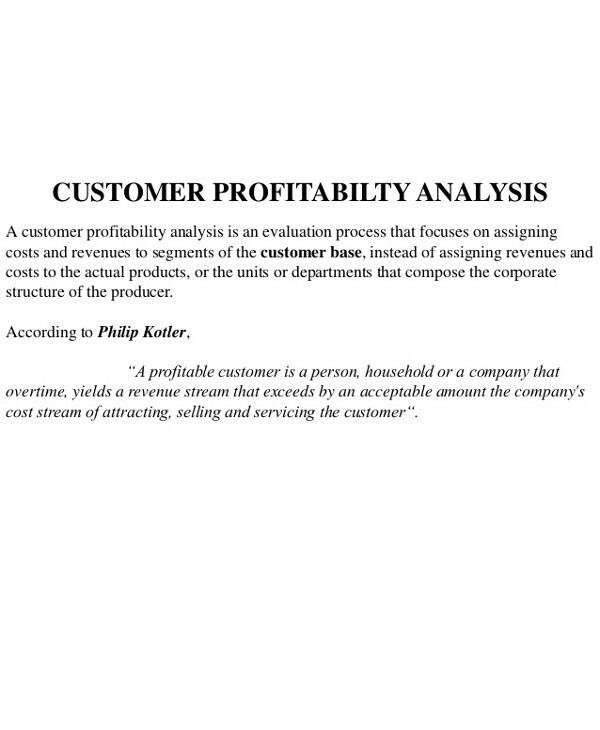 Bottom line, the advantages of conducting a customer profitability analysis is improved profitability and cash flow. These two ingredients, combined with the newfound demeanor of your employees when it comes to dealing with customers, are exactly what you will need to make your company grow faster. You may also see decision tree analysis examples.